I recently got back from my holidays in the South of France (travel post to follow next week!) and of course couldn’t resist picking up a few things from both Sephora and the pharmacies and take advantage of the sterling-euro conversion rate! Nuxe Réve de Miel Lip Balm – This is a repurchase. I won’t go into too much detail as I’ve already raved about it here. I’m probably only just half way through my first tub of this stuff, but it’s just that good at what it does. It’s pretty expensive to buy in the UK too, so it made sense to pick one up cheaply while I could! Avéne Soothing Eye Contour Cream – My other repurchase of the holiday, I knew I would need another tube of this so thought I’d just pick one up while it was cheaper. True to its name, this is so soothing. I bought it when my eyes had a major reaction to something (I have a sneaky suspicion it was a new mascara I’d just bought), and were so red and irritated that I could hardly open them. I applied this the night I bought it, and the following morning the itching had already stopped! After a few days of applying it morning and night, the problem had completely gone. It doesn’t really do anything for dark cirlces or puffiness, but if dryness and sensitive skin is your issue, you’ll love this. 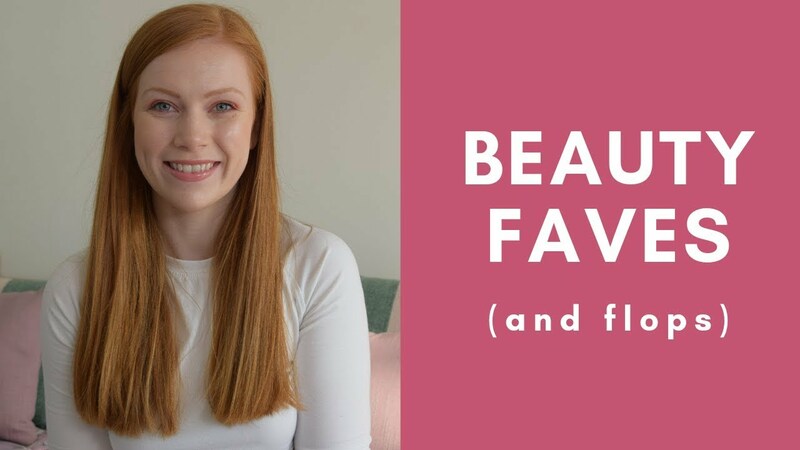 Avéne Soothing Moisture Mask – After using this eye cream I kind of fell in love with Avéne as a brand and wanted to try a couple more things from them. I was in need of a hydrating mask for my dry skin, and liked the fact that this is again anti-irritant and ideal for sensitive skin (which is what the brand is all about). I don’t have particularly sensitive skin, but I do like to use products that I know are unlikely to break me out or make my skin react badly. This moisture mask is a lovely consistency and feels extremely hydrating! I’ve only used it once so far though, so don’t really feel I can make a final judgement just yet. Avéne Eau Thermale Hydrating Spring Water – As I say, I don’t really have very sensitive skin, so buying water in a can to wash my face with is just not something I want to spend €6 on. However, as a cooling, refreshing facial spritz when my blood is approaching boiling on the beach, now that’s something I’m interested in. I picked up this mini handbag size for around €3 (yes I know, still a rip off, but try it, it’s so refreshing), chucked it in my beach bag and used it basically every day of the holiday. I also found this great to use after swimming in the sea, as the salt water can make my skin sore, and this really helped to soothe it! Caudalie Devine Oil – I couldn’t resist getting something from Caudalie while I was in France, and I went for the much coveted divine oil. I have really enjoyed using this. It makes your skin look lovely and glowy. I sprayed it on my chest and arms in the evening and was surprised at how quickly it sank in but still left a lovely glow! The main reason I bought this was because of how versatile it is. You can use this on your face, hair, body or even in the bath! The packaging is b-e-a-utiful too. This works out tonnes cheaper to buy in France too, so if you’re heading across the continent and thinking about getting it anyway, definitely wait to buy it when you’re out there! Maybelline Base Coat and Top Coat – My beloved Essie 3-way-glaze (review here) exploded in my bag on the way over (wah) so I hastily picked up a base and top coat in the supermarket as I needed to paint my nails the day after I arrived! These do a great job. However, the only issue I have is that the top coat doesn’t seem to make my nail polish chip any less than a regular one, and the bottle claims your polish will last for at least 7 days. I do absolutely love that it dries really quickly thanks to the gel technology in it. Goodbye smudging nails! Sephora All Over Shadow Brush (21) – I picked this up because it looked like a really useful size and different to all my other eyeshadow brushes, and I can confirm that the size of it is perfect for sweeping shadow all over the lid (as the name would suggest)! The brush feels great quality and is nice and soft. By Terry Ombre Blackstar in Misty Rock – This was my naughty purchase. I was a bit miffed with Sephora because the price underneath these said €24.99, and considering in the UK they’re £28, I thought I was getting an amazing deal! However, when I got to the till it turned out they were actually €29, but I didn’t realise until I was out of the store and looking at the receipt! Sneaky Sephora. However, I did still get it cheaper and I’d been lusting after one of these for oh-so-long, so, as the French would say, Je ne regrette rien. I swatched all of the colours for a while before picking this one because, in my opinion it’s very unique and unlike any other shadow shades I have. The formula is amazing too, it really does. not. budge. Love it! Expect a full review of this one soon. Do you like to buy clothes or products when you’re on holiday? What are some of the things you usually try and pick up?